I couldn't stop myself from wondering when the next VanityTrove will arrive like a reader would wait for her monthly magazines. What goodies await me this month? I received my box during the bloggers gathering so I had to control myself from squealing in excitement as I peeled at the carefully wrapped box. Once I opened the box, my eyes spotted something! Both colours to be used alone or mixed for a 3rd shade. 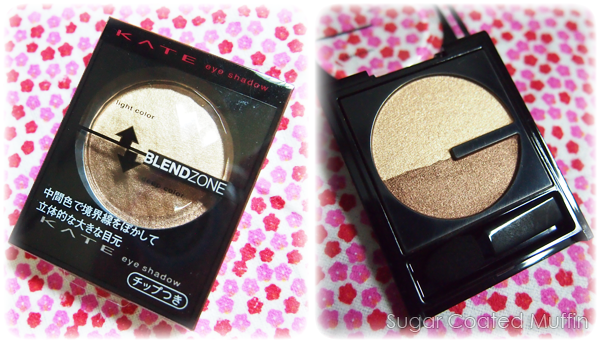 Pretty straight forward with 2/3 shades, should be easy to use even for beginners. There are 8 colours but I like this one! It's absolutely something I would use and the price makes the box almost worth it already. Love receiving masks in my beauty box! After falling for the Timeless Truth Mask in the previous Trove, I can't wait to try this out. The perfect choice of design, I must say..
Small sample of Issey Miyake, which I immediately tried on. 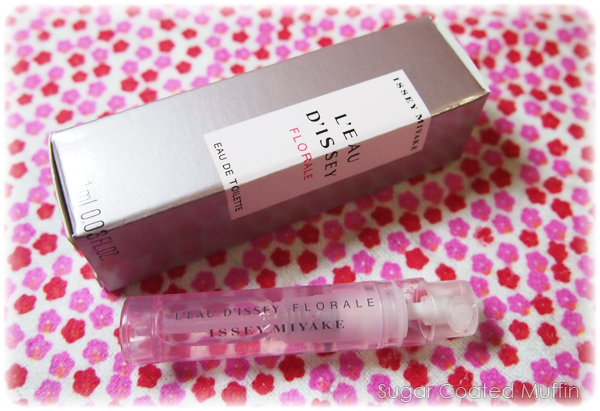 I love receiving perfumes in beauty boxes so I can spray the whole box with it so it smells nice. Don't mind the small size for perfumes since they seem to last forever anyway. 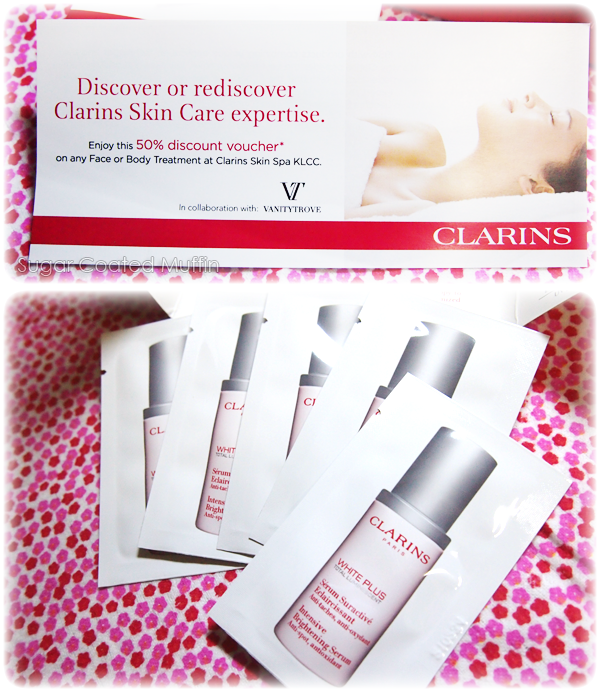 50% discount voucher for Clarins! The IBS is the most advanced skincare for a fairer and healthier skin. Thanks to the exclusive Trans-Luminiscent Complex, it has the ability to revive your skin's micro-mirrors at every level. A repeating brand but with a new product! 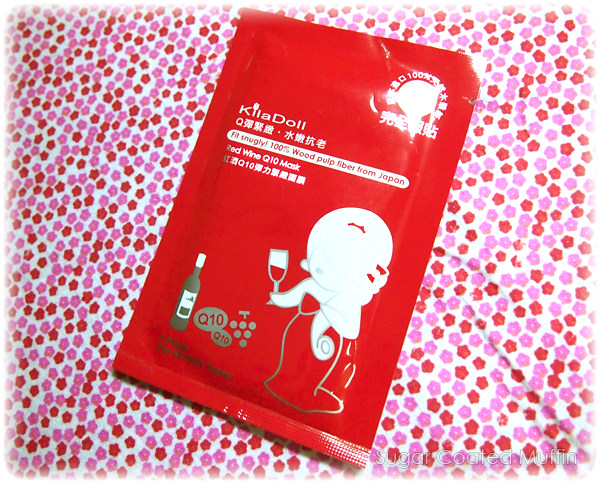 Developed in France, it is a moisturizer that promises to smooth wrinkles, lighten pores and for brightening. Overall, it was a huge improvement! 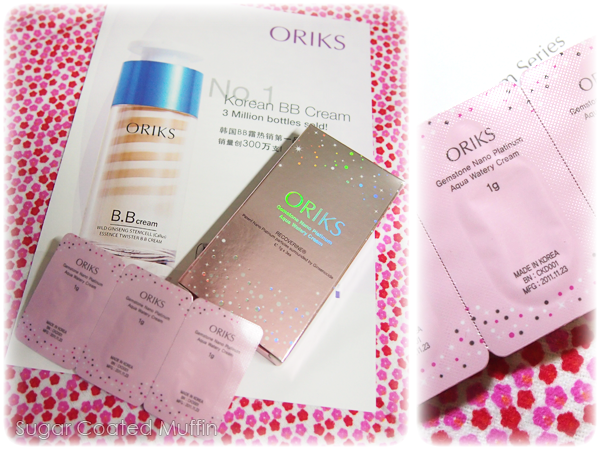 Size of the products are much better and I enjoy the contents as well. Make sure you check out their Facebook page every now and then to ensure you don't miss out any promotions like the one below. 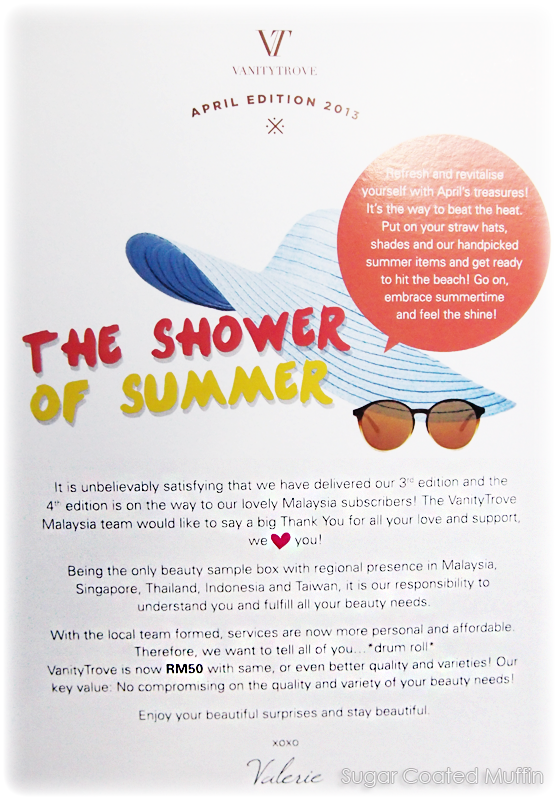 [Summer Love] Subscribe for 3, 6 or 12 months and stand a chance to receive a full size product worth RM90 from us! 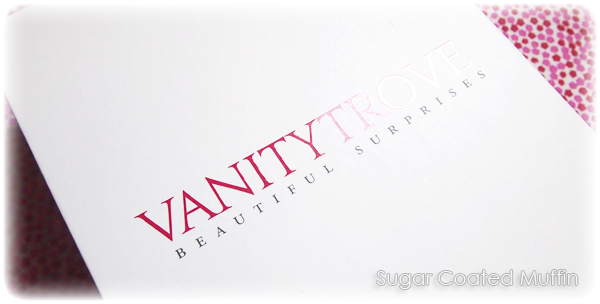 VanityTrove retails at RM 50 per box, which is worth more than the products! nice.. the nail wrap looks cute!